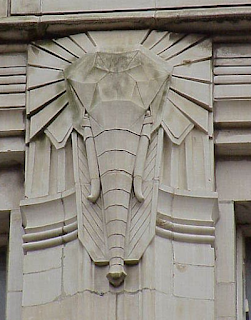 Image: Art Deco Burton elephant, with chevrons and fans in Belfast. Slice an object and it will expose a face; slice a different way and see a different face. Slice the country along railway stations and see functionality, heritage, over-romanticised history and architectural vandalism; slice along the 1.9oW meridian and see Bournemouth, Foss Cross, Redditch, Wolsingham, Thunderton (inter alios). Slice along elegant art-deco Montague Burton buildings and see affordable elegance and style for the male masses – retail pride that became a piece of social engineering displayed in chevrons, fans and beautiful elephants now hiding away as charity chops, McDonalds, disintegrating ruins and, yes!, Burtons and Dorothy Perkins. The history of Montague Burton is widely and well-known: a self-made Jewish emigre, arriving in 1900 and by 1950 bestriding British retail tailoring. Paternalistic and philanthropic, Burton knew how to make clothes and he knew how to sell them, as part of which his understanding of place and its exploitation was key. Burton did more than open shops; he shoehorned himself into the public expectation of a town's High Street. By 1939 he had nearly 600 outlets targeting his market in large working class conurbations and so “The Tailor of Taste” were bywords for “men's clothes”. 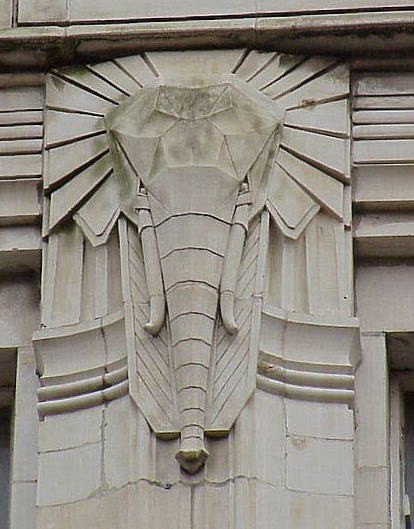 But he had a personal taste and interest in quality at a time when art deco was an agreeable rage, and his pedantic standards extended not only to high quality exteriors, but strenuous efforts at visibility. 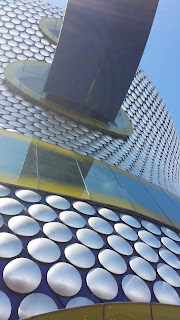 Burton instructed his developers to seek corner sites to maximise the prominence of his trademarks. Usually the shop occupied the street level - often with tiled entrances and window lights - and the first floor might be a billiard hall. This way you offer bait for your target customer at the same time as keeping him out of the pub and stoking your teetotal credentials. By 1939 Burton had shops from Folkestone to Stornoway, from the modest (Ashford), to the utilitarian (Aberystwyth) to the palatial (Wolverhampton), and spectacular factories to match. You can still see the Hudson Street factory buildings in Leeds, but the truly magnificent Burtonville on the East Lancs. Road was thoughtlessly demolished in 1975. Much changes. The Tailor of Taste survives, sometimes in his original buildings, but more often those are now occupied by anything and everything else, so Montague's carefully crafted range now exhibits a different range: the dilapidated in danger of demolition (Attercliffe), the grand department store (Wolverhampton), restaurants (Greenwich), and the ubiquitous charity shop (many). When Big Mac arrived on our shores in 1974, he targeted Montague's sites as Burton were moving out, and they were always in places that Ronald recognised as well chosen. He started in Woolwich, but has since moved on. While the billiard halls have gone, reuse has by and large left the chevrons, fans and elephants in place. The beautiful window lights and tiles in Abergavenny are still proudly in place, but you need to struggle to read them in Aberystwyth (where the building is Grade II listed). In 2016, looking at towns through the Burton prism is an act of exploration that is rewarding, sad, instructive and revealing. Nondescript street corners, overshadowed by 60s flyovers, or cluttered by commercial refuse containers, will sometimes have a tell-tale granite foundation stone naming an immediate member of the family, and when you look up it's all still there, connecting you straight back to the 1930s. BIO: Roger Boyle is a dilettante psychogeographer part way through preparation of a monograph on “The Elephants of Ceredigion”; tracking Burton buildings is a welcome distraction. 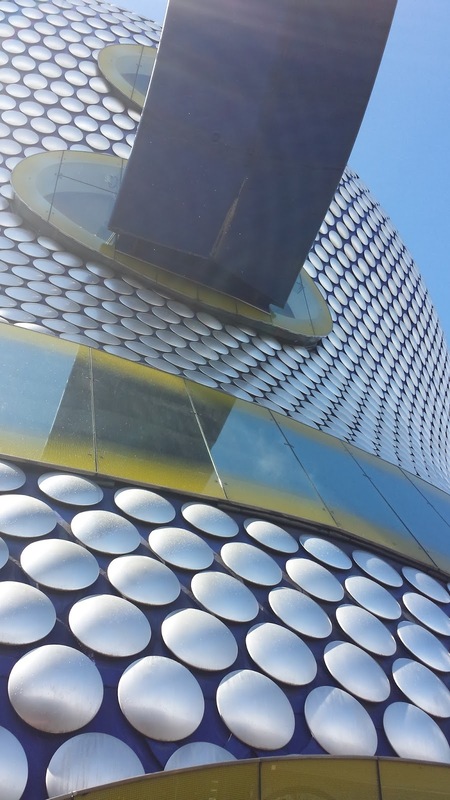 Jeremai Smith has been spotting Burton deco for some time and is author and maintainer of the most authoritative database and map of the structures known. 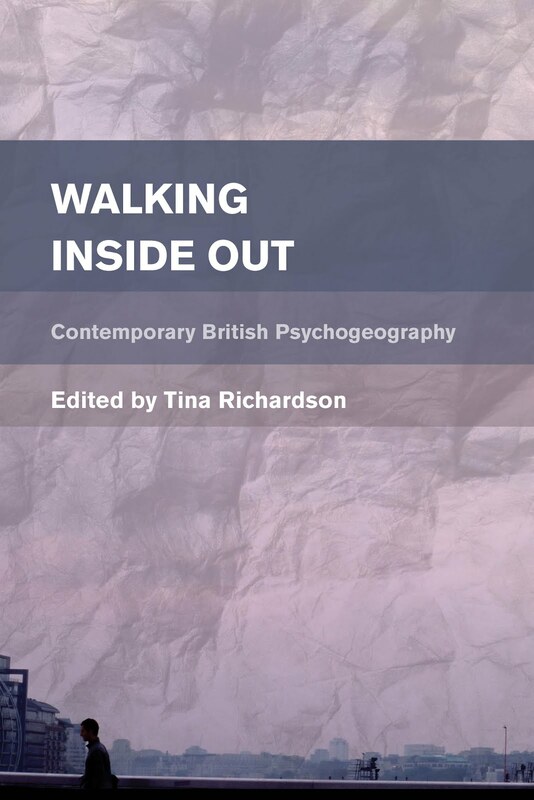 Here’s some Self stuff: an article entitled ‘How Do You Teach Psychogeography?’, one called ‘How Traversing London Has Mapped the City Across My Heart’ and another: ‘Will Self Joins ‘Mass Trespass’ Over Privatisation of Public Space’. An article about quantitative validation and formulas that can calculate the enjoyment of recommended routes. Click here for the free academic article. A conference in York on April 23rd. Click here for details on the York St John University website. Article about the Garden City model of urban planning: click here for the article in The Conversation. Also, an article about Milton Keynes in The Guardian. And, click here for a Guardian article on brutalist architecture in Britain. Click here for info about this new app on the CityLab website. The map from the Terminalia Festival of Psychogeography walk in Leeds in February: click here for the openstreetmap link of the map by Tim Waters (walk leader). Mapping London: click here for ‘the best London maps’. And a London tube map showing how long it takes to walk between stations.